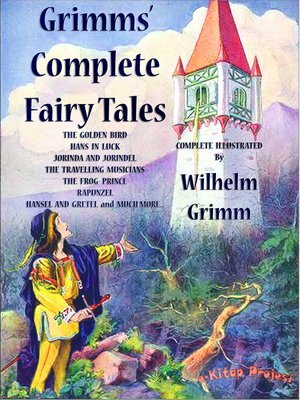 This book contains 66 original tales collected by the brothers Grimm. The exact print source is unknown. The etext appears to be based on the translation by Edgar Taylor and Marian Edwardes called Grimm's Household Tales, and it is identical to her edition. -The Frog King, or Iron Henry-The Good Bargain-The Twelve Brothers-Rapunzel-Hansel and Grethel-The White Snake-Cinderella ..and MoreThe Brothers Grimm Fairy Tales:The Golden BirdHans In LuckJorinda And JorindelThe Travelling MusiciansOld SultanThe Straw, The Coal, And The BeanBriar RoseThe Dog And The SparrowThe Twelve Dancing PrincessesThe Fisherman And His WifeThe Willow-Wren And The BearThe Frog-PrinceCat And Mouse In PartnershipThe Goose-GirlThe Adventures Of Chanticleer And PartletRapunzelFundevogelThe Valiant Little TailorHansel And GretelThe Mouse, The Bird, And The SausageMother HolleLittle Red-Cap [Little Red Riding Hood]The Robber BridegroomTom ThumbRumpelstiltskinClever GretelThe Old Man And His GrandsonThe Little PeasantFrederick And CatherineSweetheart RolandSnowdropThe PinkClever ElsieThe Miser In The BushAshputtelThe White SnakeThe Wolf And The Seven Little KidsThe Queen BeeThe Elves And The ShoemakerThe Juniper-TreeThe TurnipClever HansThe Three LanguagesThe Fox And The CatThe Four Clever BrothersLily And The LionThe Fox And The HorseThe Blue LightThe RavenThe Golden GooseThe Water Of LifeThe Twelve HuntsmenThe King Of The Golden MountainDoctor KnowallThe Seven RavensThe Wedding Of Mrs FoxThe SaladThe Story Of The Youth Who Went Forth To Learn What Fear WasKing Grisly-BeardIron HansCat-SkinSnow-White And Rose-Red..